The practice of law can be stormy, sometimes reaching hurricane stage. Such violent weather does not serve the lawyer, whether acting in the professional role of advisor or advocate, and it certainly does not serve the clients. How can lawyers calm the weather without sacrificing professional competence? One answer to that question not only eases gales but also can give the lawyer additional tools and increased competence in the practice of law. And, it reduces the toll the strain of a storm can take on health and contentment. The more mindless one is, the more he or she will find that these are apt self-descriptions. There are several other ways of looking at mindfulness that may be helpful. Consider it to be an attention skill. How well can you attend to, pay attention to, what is happening inside you (those feelings and thoughts mentioned above) as well as what is happening around you—in this moment right now? Or still another way of seeing mindfulness comes from Harvard’s Dr. Ellen Langer. Her deceptively simple way of describing mindfulness is: The process of noticing new things. Ways of examining and conceptualizing mindfulness are plentiful, but for purposes of helping you assess yourself, here is one more: Mindfulness is the ability to observe yourself, to watch yourself thinking, acting, and reacting. Can you step back and see yourself as if watching another person’s mind, brain, and behavior? Are you able to watch yourself taking one perspective—and then take another? Are you able to have patience with not immediately knowing an answer, and remain with poise in the uncertainty until a good answer or solution becomes apparent, or is reached? Or do you feel uncomfortable with the unknown and jump to a quick and perhaps inadequate conclusion because of the discomfort? Are you self-authoring or are you always searching for that expert or book or technique to rely on for solutions to problems? As with all of these lenses through which you can look at mindfulness, this one too affects not only your peace of mind, but also the way you interact with opposing counsel (and others in the legal system) and help your clients. Let’s say you want to increase your mindfulness. Not everyone is drawn to the formal practice of meditation, of course. For those who are not, there are many other methods for developing or expanding mindfulness. The options are numerous and seem to grow daily, e.g., contemplative photography, focused journaling, yoga, in-the-moment walking or running, writing about your day in third-person. At one Colorado Contemplative Lawyers Society meeting, a lawyer explained that his mindfulness practice is riding his motorcycle; and a lack of mindfulness on the bike may give the rider some quick and hard-to-ignore feedback! Mindfulness practices are not Procrustean or one-size-fits-all. Mindfulness definitely is not developed only by sitting on a meditation cushion as some people may imagine. Knowing what practice or process works best for you will help you to stick with it. Start with these three steps. First, have an idea of why you want to incorporate mindfulness in your life; keeping that purpose in mind will guide you past procrastination or the times when you would much rather be doing something else. Second, choose a definition of mindfulness that seems most compelling to you—one you can use as a touchstone. And then, through experimentation, choose your practice. The studies about the effects of mindfulness are plentiful; it is a popular focus of research. For those who want to stay current, Mindfulness Research Monthly is a valuable (and free) resource. Subscribe at www.mindfulexperience.org/newsletter.php. Reading this research about mindfulness each month is another way to motivate yourself to stick with the practice you have chosen. You don’t have to take the benefits on faith; science continues to prove its value. Mindfulness is not always easy, but it typically returns your efforts many times over. For the sake of your health, your personal satisfaction, and professional success, why not give it a try? By Stephanie West Allen, a non-practicing lawyer and long-time mediator who speaks, writes, and trains on the topics of the neuroscience of conflict resolution and the benefits of mindfulness and attention. She blogs on those topics and others related to lawyers at idealawg.net and brainsonpurpose.com. 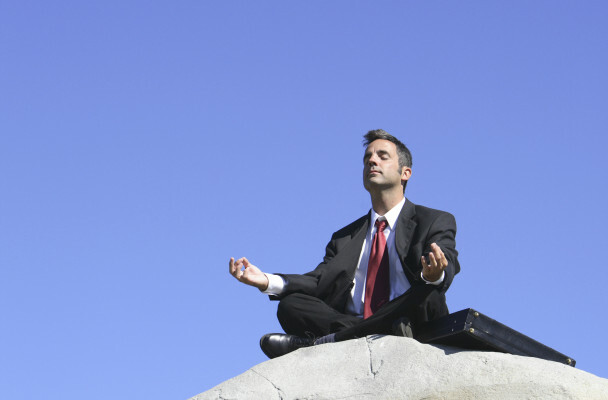 Although an uncommon belief, it is certainly possible to be a mindful attorney, and to do your job in order to help as many people as possible while retaining a balanced work/life schedule.